When selling or buying a business, anything can happen. To build mutual trust and ensure a transparent transfer process, many business owners choose to hold money and documents in escrow. At Capitol City Escrow, Inc., we provide professional escrow services in Sacramento, CA, to give our clients peace of mind for any transfer. Our services work by holding important assets and documents under predetermined conditions and disbursing them once those conditions have been met. This way, partners can handle the transition period effectively knowing that the terms set for a sale or transfer won’t change unexpectedly. How do you know when you need escrow help? Our services work for business owners, entrepreneurs, and venture capital specialists. Any time you want to buy or sell a business, we provide peace of mind for the financial side of the transfer. Clients come to Capitol City Escrow, Inc. because we are experts in the field of business transfers and liquor license transfers. With more than 70 years of cumulative industry experience, we make the escrow process easy by leveraging the skills and methods that work best for our clients. Clients come to Capitol City Escrow, Inc. because we are experts in the field of business transfers and liquor license transfers. We make the escrow process easy. Get answers to your frequently asked questions. 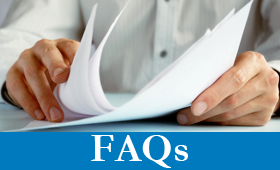 Check out our FAQs page for answers to all types of common questions related to our escrow services. Learn about Capitol City Escrow, Inc.
You should know as much as possible about the people handling your transfer. We are an independent, licensed, and trusted local escrow company that specializes in transferring business ownership and other services. We have been in business since 1990 and have always been committed to keeping our services professional, accurate, timely, and efficient. Through experience and expert leadership, we provide solutions for local businesses during challenging transitions of ownership. Owner Donna Grady served as the President and Board of Director of the Sacramento Chapter of the California Escrow Association (CEA), as well as legislative chair for the state level of the CEA. She has spent several years on the Board of Directors for the Escrow Institute of California. Under her direction, we continue to provide quality escrow services for our clients. 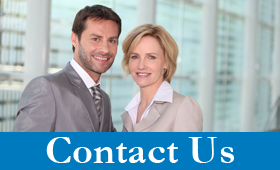 Contact us today to distribute funds and make transfers with confidence. We proudly serve Sacramento, CA, and the surrounding areas.